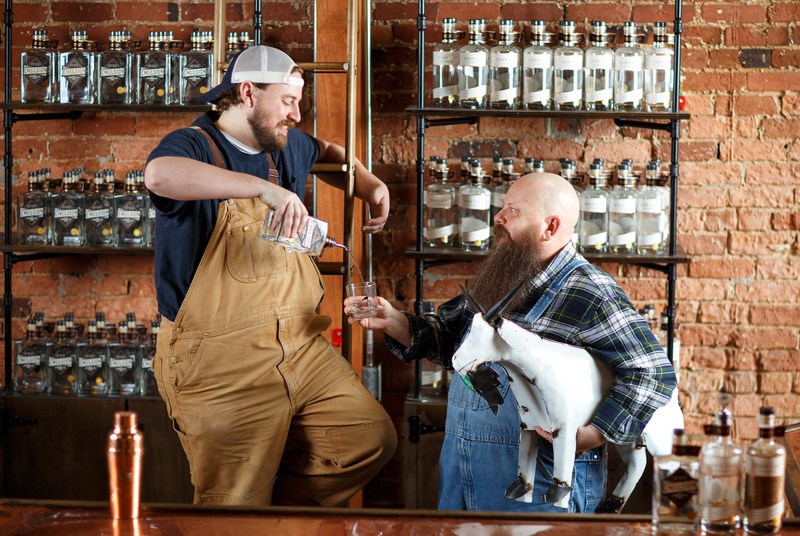 Distilling spirits at Greensboro’s Fainting Goat Spirits is a family affair as dad Bill Norman serves as the Master Distiller and son Andrew serves as the Head Distiller. Together, this father-son duo is serving up Greensboro’s first legal spirits since Prohibition. The family has been part of the Greensboro community for years as they also own Kneaded Energy, where sister Lesley manages the practice, step mom Shelley oversees the laws and legalities of all the businesses and manages the massage school. “We specifically chose the West Lewis Street location because of all the innovation and other businesses that are on this end of town. We love the renaissance of the community and wanted to a part of it,” said Bill. “I was born and raised in Greensboro. It’s exciting to see the growth in Greensboro and be a part of it, especially in downtown,” added Andrew. 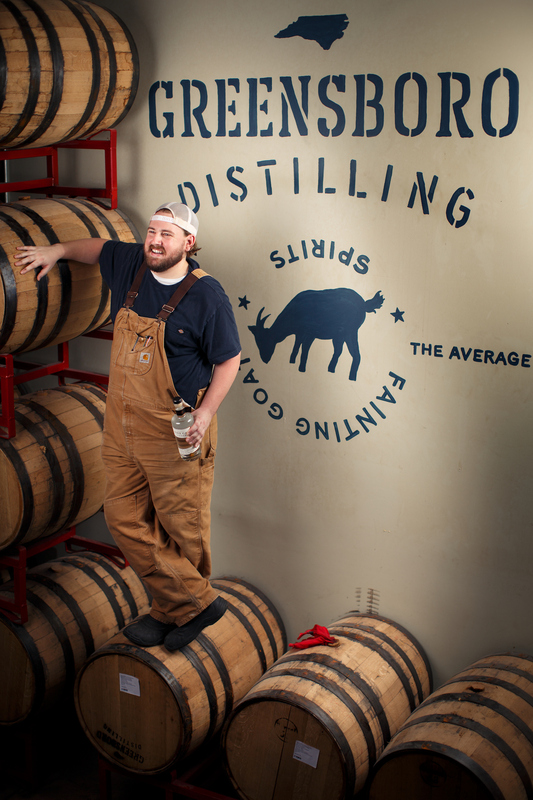 Fainting Goat Spirits currently offers its Tiny Cat Vodka and Emulsion American Gin for sale. They’re also working on a single-malt whiskey, rye whiskey and bourbon that will be ready for sale in the coming years. 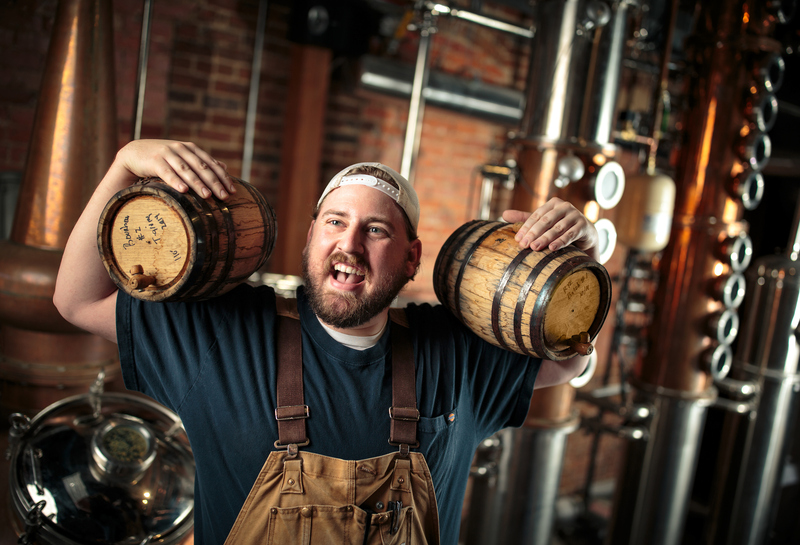 “Once our single-malt hits the shelf, we will experiment with things like tequila and rum,” said Andrew. Each bottle proudly displays that it is distilled and bottled in Greensboro, NC.